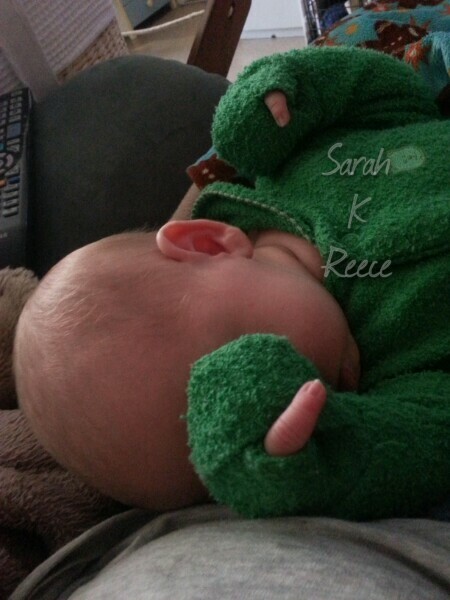 Poppy is outgrowing her adorable froggie onesie and has spent the whole night wiggling her little fingers out of the mittens. She can’t get any other fingers out, but no matter how many times I put her hand back in, she can get her baby finger out. Which makes her look like a tiny adorable tyrannosaurus!